For an unparallelled gratifying shower, DreamLine designed the SHDR-64487610-08 Sliding Shower Door that offers unmatched functionality and a decidedly lavish glam. 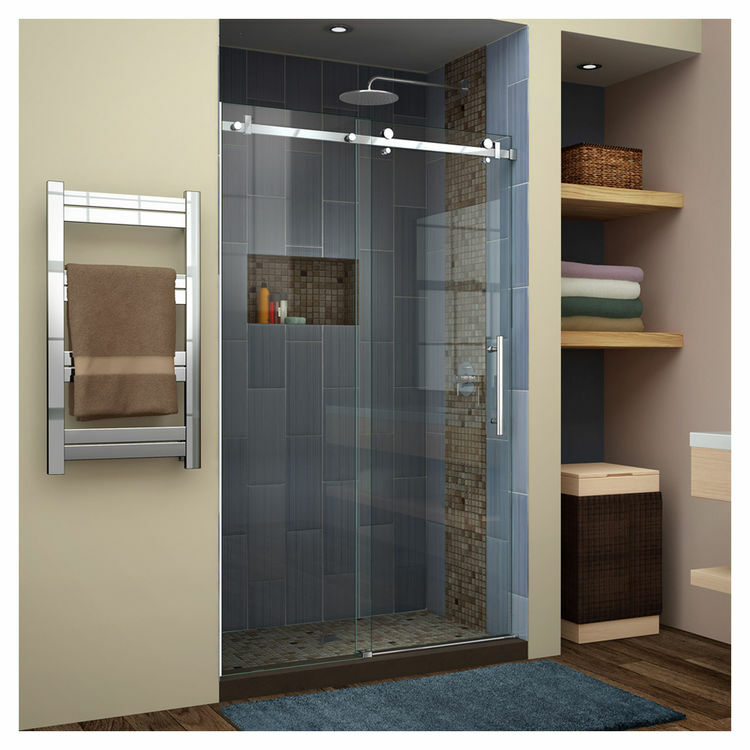 It is a 44" - 48" x 76" shower door that is made to last. A pride of the Enigma Air collection, this shower door is just breathtakingly beautiful and Brings a touch of elegance to a seemingly mundane bathroom. 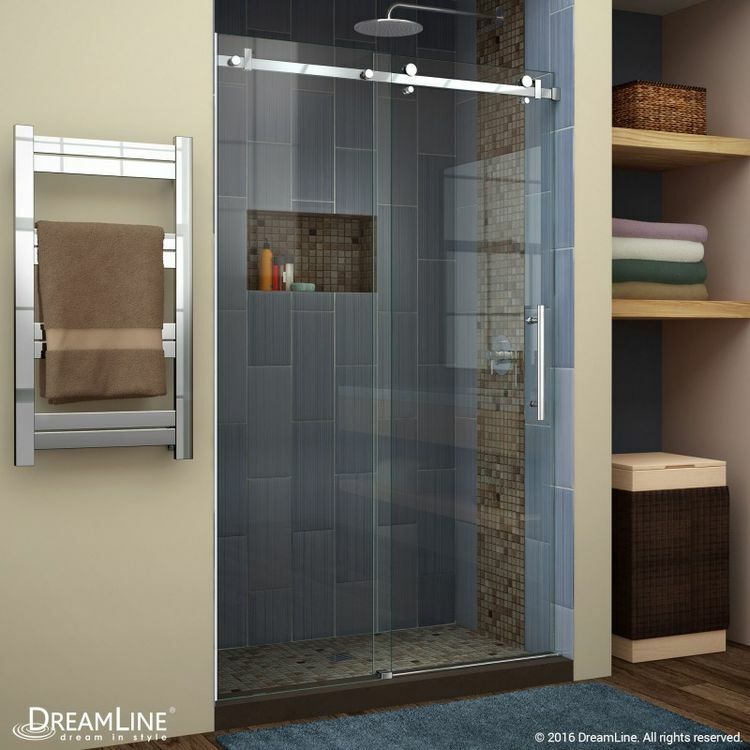 With its fully frameless design and the occasional bouncing of light off the glasses, you could probably shower, relax, and meditate in your bathroom for, oh, forever. Crafted from 10 mm thick ANSI-certified tempered glasses, it is sturdy enough to withstand plenty of everyday use. A modern twist is its striking polished stainless steel-finished hardware that will never go out of style. 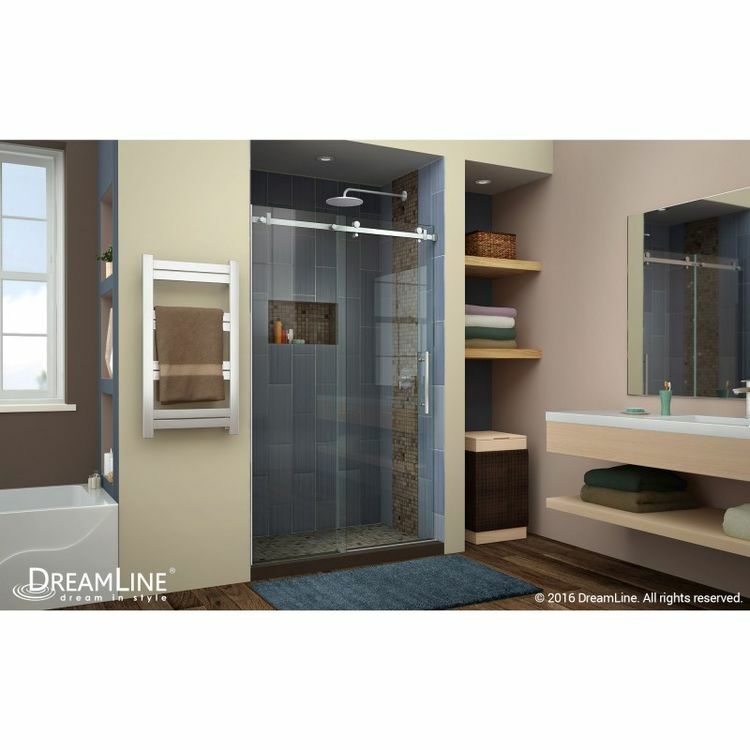 This DreamLine Shower Door is reversible for a right or left walk-in opening. Another great feature is that the anti-splash thresholds to prevent water spills and the large wheel assembly for effortless and precise gliding action. Whats more, it parades DreamLines exclusive ClearMax coating that makes it resistant to water stains, making cleaning and maintenance a piece of cake. The door walk-in measures 20" -24" and the stationary panel is 22-7/8" wide. Add to this a Slimline shower base and your bathroom becomes a fashion-forward haven! It is backed by DreamLine's generous 1-year limited warranty - a warranty that you never have to use! Because the human eye is wired to scan for exquisiteness, DreamLine has always paid attention to detail. Their intricate artistry has never failed to make the smallest room in your house a much more comfortable and sophisticated spot of your abode.